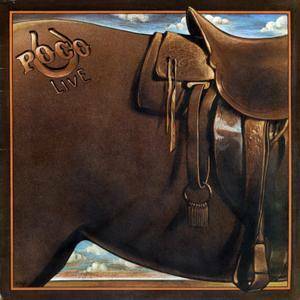 Poco - Live (1976) Epic/PE 32354 – US Pressing - LP/FLAC In 24bit/96kHz - NEW 2018 RIP! 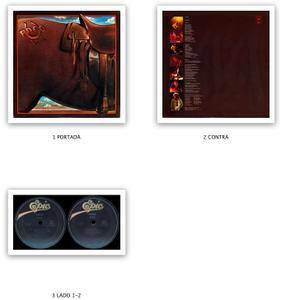 Copyright © – CBS Inc.
IIn 1975, Poco left Epic Records after six years and jumped to ABC Records. Less than a year later, Epic released this 38-minute live album recorded at a series of November 1974 shows. By this time in their history, Richie Furay and Jim Messina were long gone, and steel guitar player Rusty Young and guitarist Paul Cotton were the dominant musical personalities in the group, between them providing all but one of the songs represented here. The group still had a beautiful sound and put on a lively, spirited show, laced with strong lead singing and sweet harmonies — “Ride the Country,” which shows the strong influence of Neil Young in both its writing and playing, is a radiant piece of hard country-rock highlighted by Timothy B. Schmit’s powerful bass work, Cotton’s searing yet smooth lead, and Young’s haunting steel sound. In contrast to a lot of live albums of this era, the group stretches out elegantly on the repertory without altering the general shape of the songs, so that this is more than a rehash of the familiar studio versions of the music at hand. “Angel” and “High and Dry” get good performances, and the group finishes with Richie Furay’s “A Good Feelin’ to Know.” The recording is very clean and, typically for concert albums of this period, pushes the sound of the audience far into the background, with very crisp separation of the instruments between the two stereo channels.